Over the past 20 years, I have uncovered many examples of areas of common land across Scotland – remnants of commonties, greens, loans and the like. Unfortunately, little is being done to protect them from land-grabs by an assortment of avaricious individuals. If such claims go without challenge, a legally watertight title can be obtained. Such claims are open to challenge but there are three key difficulties. Secondly, there is often no title for common land, leaving it open for land-grabbing. And thirdly, where such land-grabs take place, there is no way that local people can know about it. Despite claims being lodged in a public register (the Register of Sasines or Land Register), no local publicity attends the lodging of documents with the Registers of Scotland by solicitors via DX Mail. Thus the only way one could stay abreast of any such developments would to spend thousands of pounds per day searching the registers every day all year round just in case someone had submitted a title claim. For example, in the course of research for my book, The Poor Had No Lawyers, I found a number of examples of such grabs. 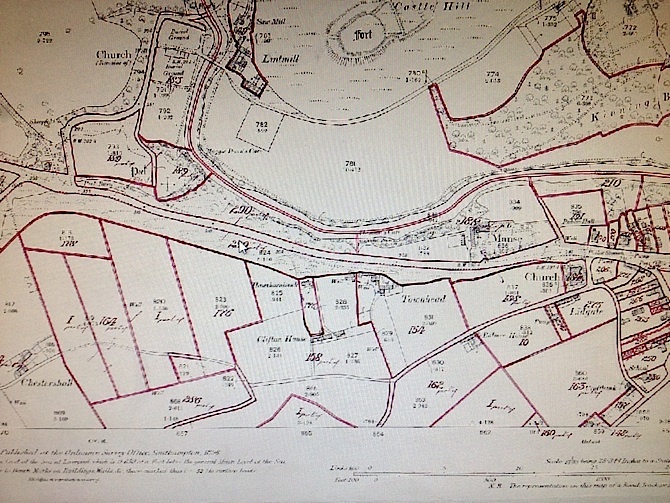 One, which I have yet to fully document, involved the appropriation of 393 acres of commonty in Perthshire in 1986 by three landowners whose agent (the solicitor), according to a note in the Register of Sasines was “aware that granters apparently only have title to rights in pasturage in xxxx commonty.” The local community was not consulted and today, many locals are angry that a valuable part of their heritage was stolen from under their noses. Which brings me to the subject of this blog. Ancrum Common consists of three parcels of land extending to 35 acres in total to the west of the village of Ancrum in Roxburghshire. The lands have been subject to a long history of communal use and there is no evidence that there is any title held by any private interest over the common. In recent years, however, the land has become the subject of dispute although much of what has happened has only very recently become known to the residents of Ancrum. In 1988 a company called Cranelg Ltd. recorded an a non domino (2) deed in the Register of Sasines. Cranelg Ltd. had two Directors, a Mr Nicholas W Cranston and a Mr William F Elgin (a Chartered Accountant). According to sources, this company specialised in land-grabbing. The company was wound up in 1998. Finally, in May 2006, Mr Scott conveyed Ancrum Common via an a non domino disposition to his spouse, Sophie Mary Montagu Douglas Scott. And here matter rested until discovered by local residents in the past two years. There is now a quiet fury that the Common has been stolen. Understandably, Anderson Strathern was unwilling to discuss its client’s legal affairs. 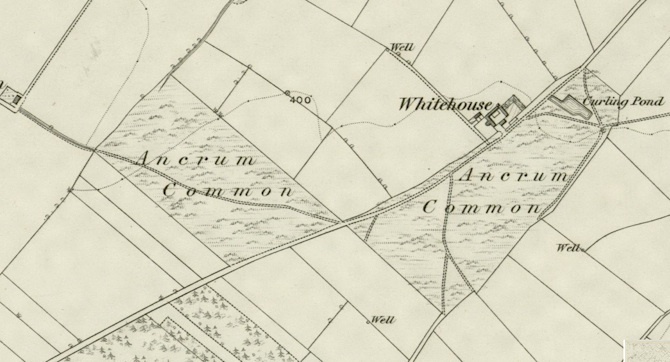 Evidence that has been uncovered suggests that there was a title to the Common in the name of the Feuars of Ancrum. 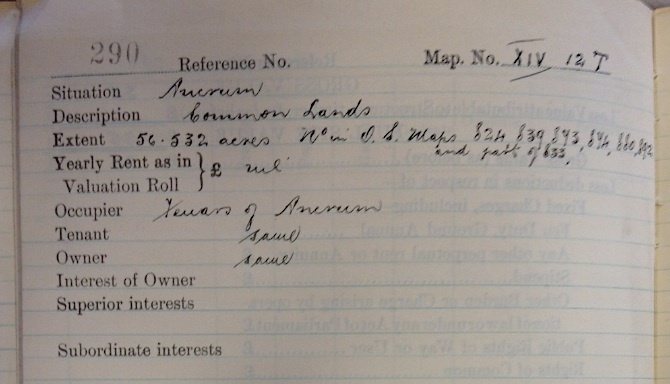 In the Inland Revenue Survey of landownership in Great Britain and Ireland conducted in 1910 under Section 26(1) of Lloyd George’s Finance (1909-10) Act, the land is noted as being owned and occupied by the Feuars of Ancrum (see images below). 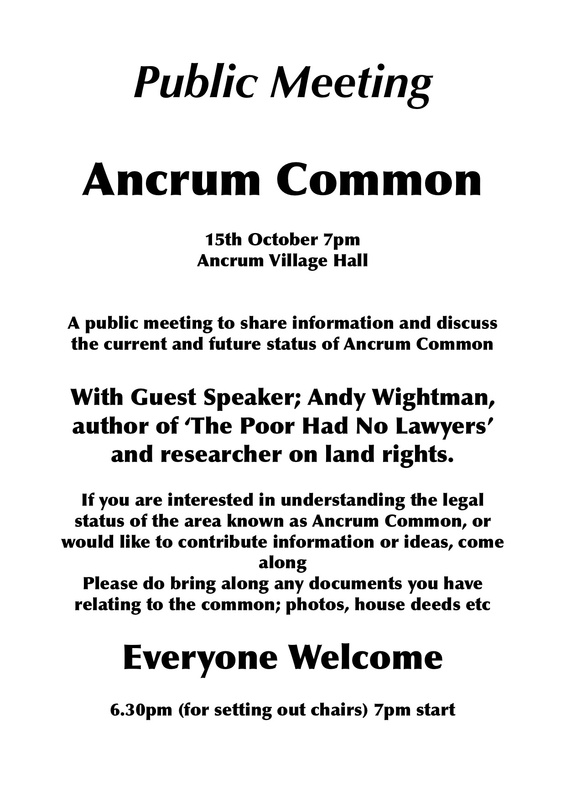 Meanwhile, a Public Meeting has been organised for 7pm on 15 October 2014 in Ancrum Village Hall. For legal reasons no comments will be allowed on this blog. (2) An a non domino deed is a disposition (transfer of land) literally “from one who is not the owner”. Professors George Gretton and Ken Reid describe the circumstances in which this used as follows. (3) This Registers of Scotland note covers the implications for recording deeds in the Register of Sasines and Land Register.